If you are a startup or an entrepreneur, then this blog is for you as it contains top four features of Anchor, a Podcast app, that helps it to secure $10M in series A funding. Let’s check out what are those four features! It seems that everyone has a podcast these days. Since Podcast listenership has been tremendously growing every year. Talking about one of the most popular broadcasting apps, Anchor helps to record a high-quality podcast and allows users to distribute everywhere, including Apple Podcasts and Google Play Music. Recently, Anchor, one-stop podcast creation app, has raised $10M in Series A Funding by Google Ventures, according to the report from TechCrunch. On the other hand, “Anchor is launching its new app with a new focus on serving the larger podcast community” as per the same source. The new version of Anchor 3.0 claims to have everything, which users need to record, edit, host, publish, and distribute a podcast of any length. Plus, the users can monitor in terms of how well the podcast is performing. Before jumping on the other section, which will tell you about the top four features of Anchor, a best podcast app, it is important to check out the statistics of podcast app, in terms of, how well the market is performing. Let’s have a look! 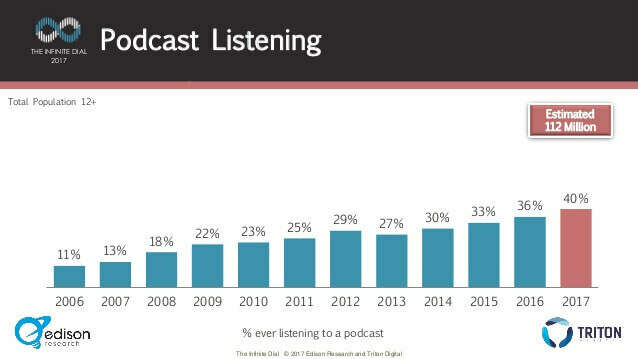 The percentage of ever listening to Podcast has been continually growing, and it was 40% or an estimated 112 Million Americans in the year 2017. This is what you can see in the below image. In the below image, you can check the total percentage of all podcasts downloaded, and then listened to. 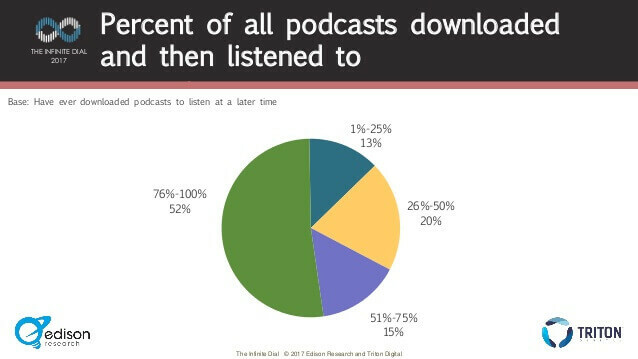 The maximum number of podcasts downloaded is 76-100%, and 52% have listened to podcasts in the year 2017. The Podcast advertising spending in the U.S will be increasing in the upcoming years. 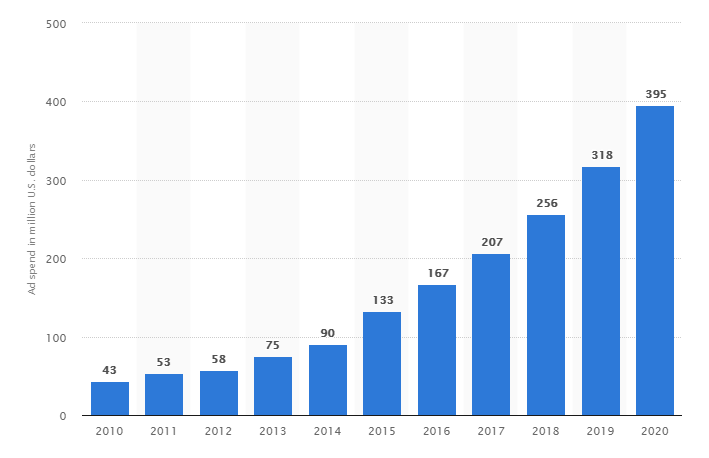 According to Statista, it will reach US$256 million in the year 2018, and approximately US$395 million by 2020. This is what you can see in the below image. Apart from this, there is another podcast application named Pocket Casts that was acquired by a mix of public radio stations. According to the latest news from theverge.com, the application has got a major release, Version 7.0, brings a revamped design and a handful of new features. The look and feel of the application have been changed a bit, but still, it feels like Pocket Casts. So, what’s more, interesting than the huge growth in the arena of the podcast? After going through the entire statistics, you must have got the idea that podcast lovers will be seeking out new ways to explore the podcasts. 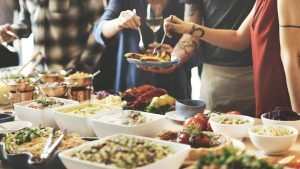 Why Should You Start With a Podcast? If you completely understand the need of creating the content for your business, then it is important to create content with a podcast, and it can be as equally important as the content creation for the website of your business. According to the report from Anchor, nearly 70 Million Americans listen to podcasts while they work. However, in simple terms, we can say that a podcast can help you as an entrepreneur to reach out a brand new audience, including a group of people, which might otherwise never find the long-term content due to the audience prefers – more portable audio format. Generally, Podcast is an excellent method to build an audience. 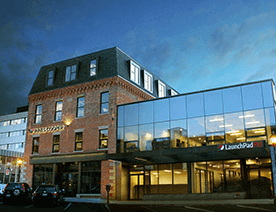 Additionally, it also provides the potential to drive traffic back to your store. And, since it is your podcast, you simply get the direct listeners to your business at the end of each show. Undoubtedly, Podcasting is huge. 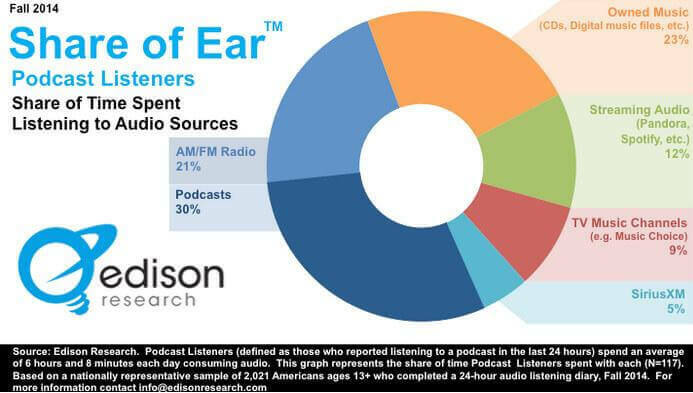 Looking at the below-image in which pie-chart reveals that 30% of time spent listening to audio sources are podcasts. This is simply impressive! In order to build a successful podcast app like Anchor, you need to consider these 4 features that help Anchor to secure $10M in Series A Funding by Google Ventures. There’s a core feature, which is called ‘one-touch podcast’, which allows users to record and distribute the audio with just one tap. Such feature also includes additional buttons within the podcast app like buttons for recording with the friends; for voice messages, and for adding music from Apple or Spotify. 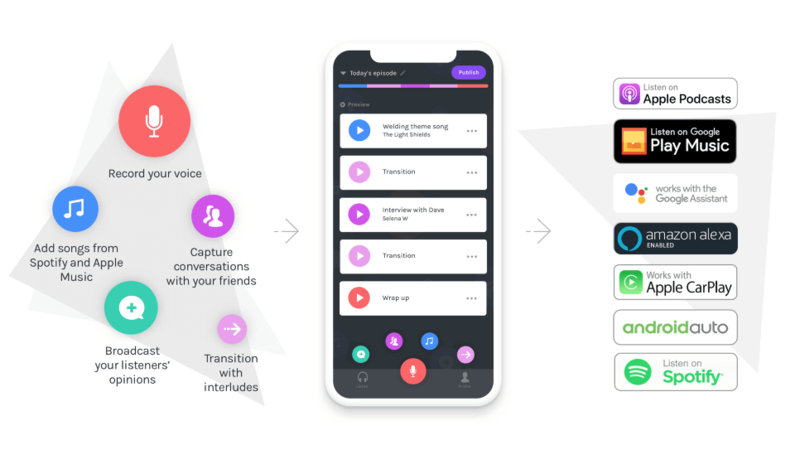 Furthermore, such feature allows users to create a podcast along with the components like take voice messages from listeners, add them to any episode, add any song from Spotify, and easily add a variety of transitions to podcast from built-in podcast library. Therefore, within the podcast creation app as these components appear as drag-and-drop modules in the visual editor on the screen. So that user can move them around in order to create the podcast episode. Before broadcasting app development, it would be beneficial to provide a bar at the top of the screen, which will show the length of each audio piece, this is what assembled by the user. Also, in order to record the voice, in a Podcast app, there can be a feature of setting up the limit on recording the voice also. And, this limit can be 5 minutes or more. However, the podcast creation app, Anchor does not come up with no limitations, in terms of who can use the feature. So, you can also customize it, accordingly. 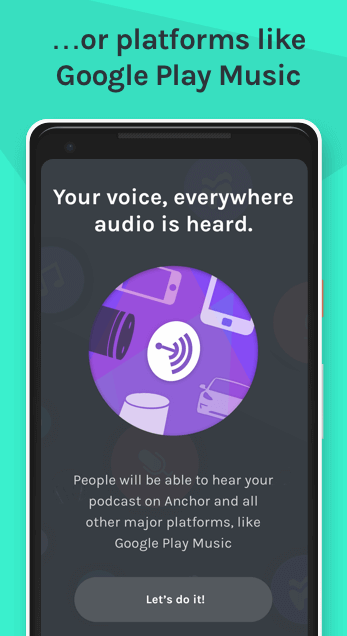 The audio, which is created by the user, will be available for other people on the app as long as the user adds the video. 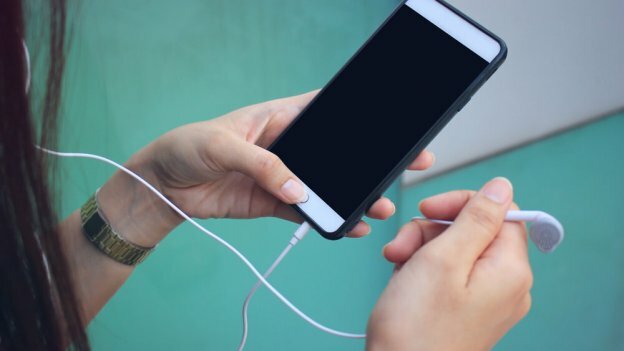 It will also help users to make it available on other podcast platforms such as Apple Podcast or iTunes, Google Play Music, Overcast, Pocket Casts and Spotify. Likewise, Anchor, a Podcast app, allows users to tap only one button in order to his/her podcasts. After that, the podcast will be submitted automatically to other platforms like Google Play Music, Pocket Casts and Apple Podcasts. And, everything will be done in one tap. By doing so, you can provide your app users with a hassle-free way to distribute their podcasts. Share The Profile: User with the podcast app gets a customized URL within the app. When the app user would share the customized link with people, then people will be taken right to the user’s podcast. Also, the user’s profile within the podcast app will include a list of all platforms where users’ podcasts available. Embed The Podcast on The Blog or Website: In such feature, the user can easily embed the podcast in the website or blog. All user is required to get the embed code from the user’s profile in the Android podcast app. There are times when podcasters or users want to know which of their episodes are doing well. Therefore, this feature lets users know the number of audiences that is growing over time. Instead of providing a ton of hard-to-read charts, you can provide your app’s users with straightforward analytics, which can be easily understood. With podcast app, users can able to see things like how episodes stack up against each other, and which apps people are using to listen. When users use the Podcast app, then he/she can even see who is listening to each episode, and where people applauded or commented. Being a startup, if you wanted to create a podcast app like Anchor, then it is the right time to start with. Additionally, if you have such questions like how much does it cost to develop an anchor app, how to validate an app idea, it would be better to hire iPhone developer to discuss your requirements. Still, if you have any confusion related to podcast app development, you can get in touch with us through below-given form and we will revert you within 48 hours. This page was last edited on February 7th, 2019, at 9:25. 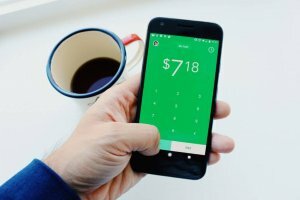 Is It Still Possible to Earn Money by Developing Peer-to-Peer (P2P) Payment Apps like Square’s Cash App?